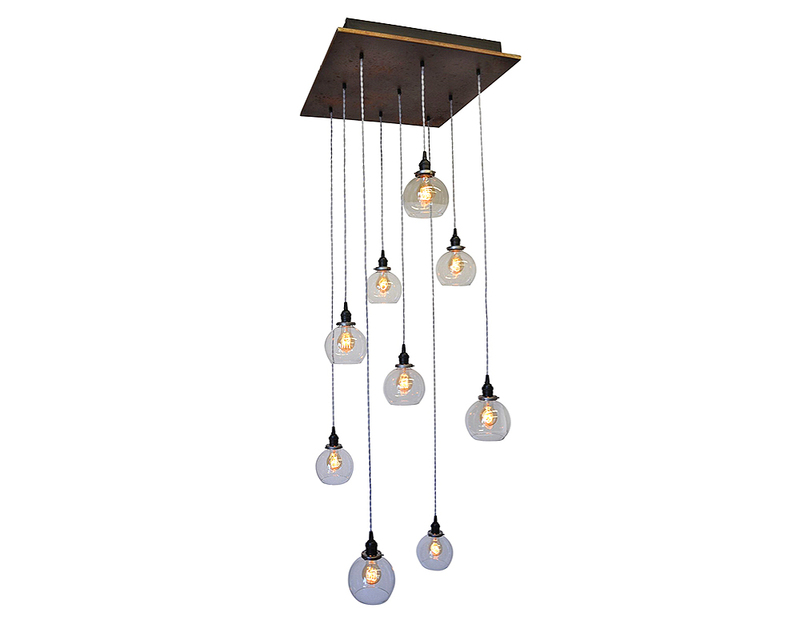 Create a focal point in your foyer or stairwell with this modern industrial style chandelier. 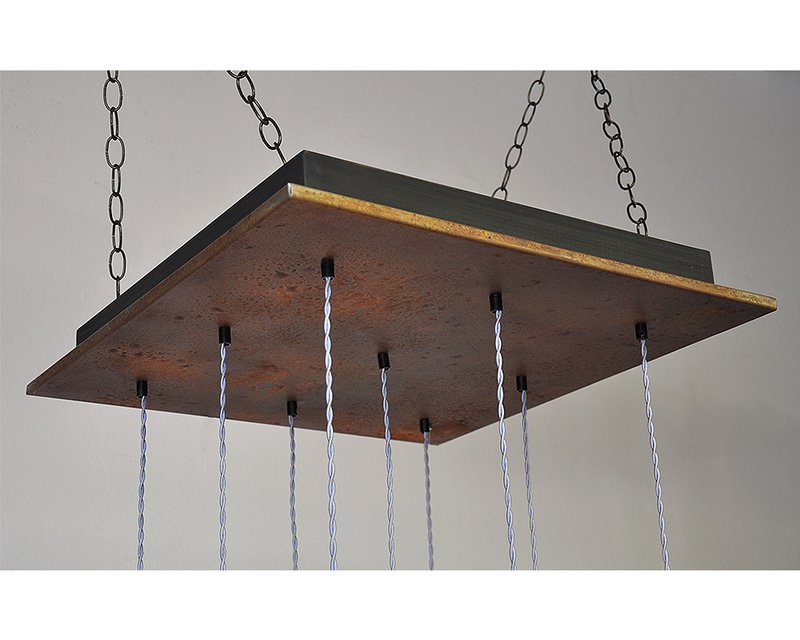 It features a metal base with an authentic rust finish and nine cascading clear glass pendant lights. The vintage style cord is silver twist with solid brass sockets in a black finish. Classic globe style Edison bulbs add the finishing touch. 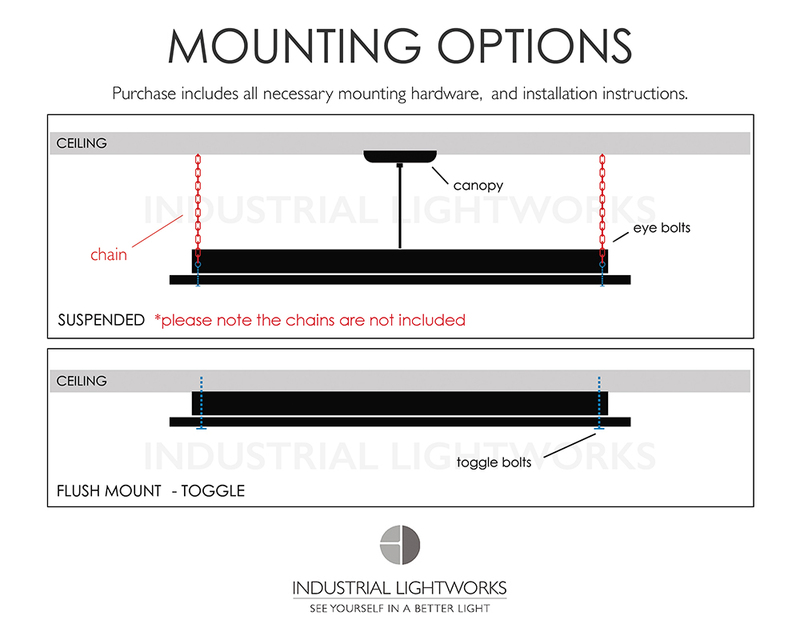 Available with or without dimmable Edison bulbs. 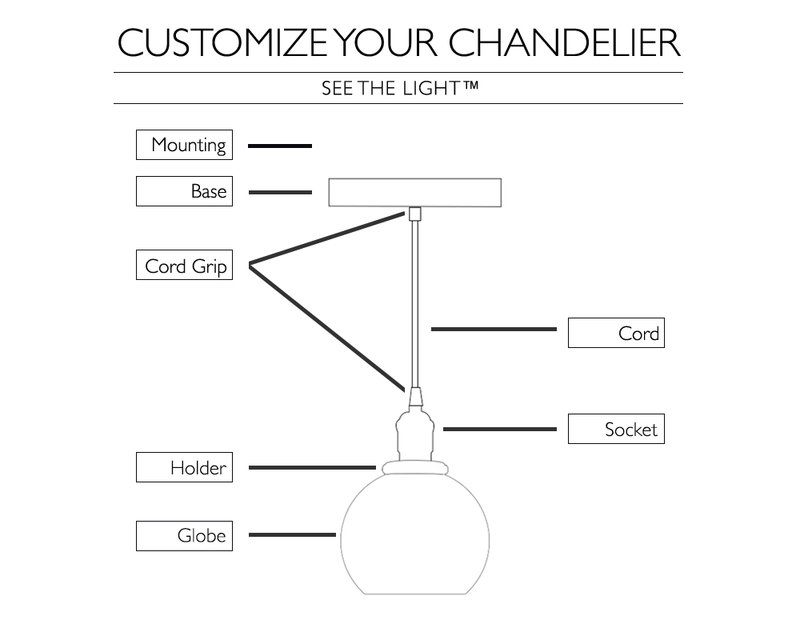 SEE THE LIGHT™ with our custom selection tool and design this chandelier to your specifications. 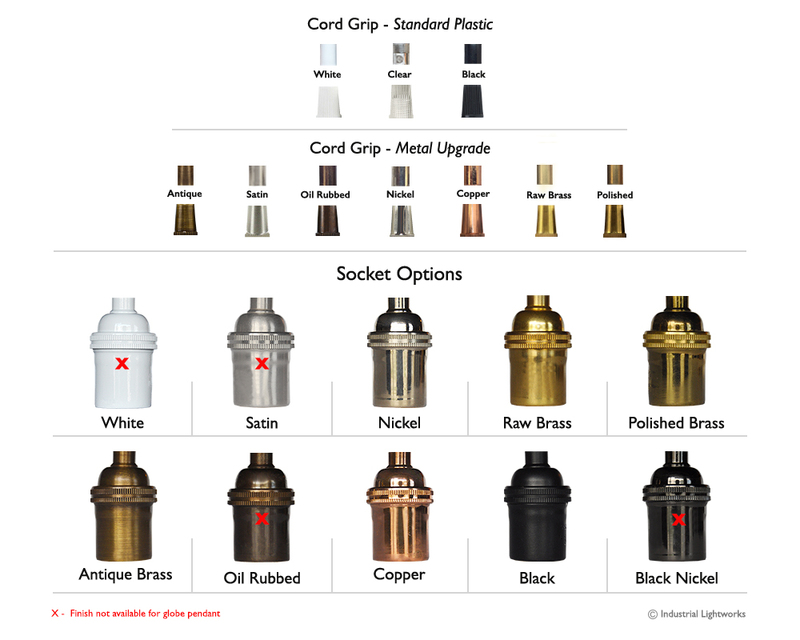 Choose from a wide variety of finish, socket, cord and bulb options. 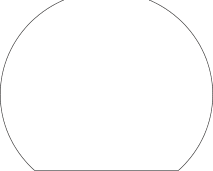 Globe: Clear Bulb: Edison (dimmable) Watts: 270w.